Abandon in place: Betty Grissom’s last visit to Apollo 1 memorial? 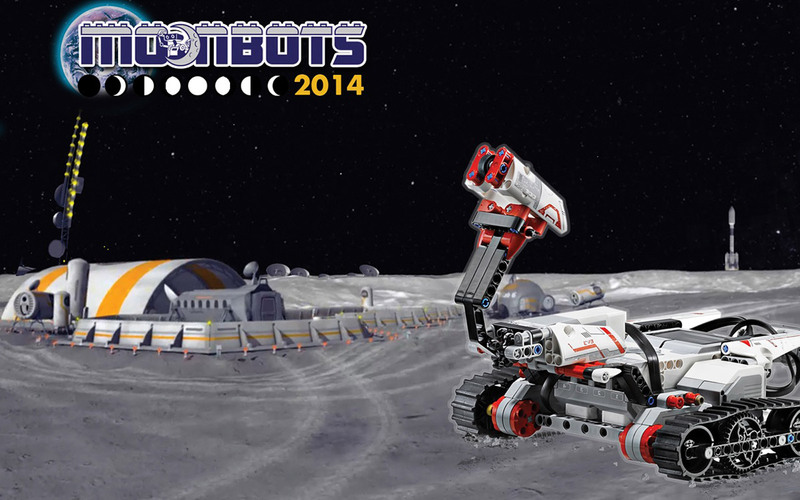 The MoonBots Challenge is an interactive competition that emulates the real Google Lunar X Prize and increases students’ interests in STEM (Science, Technology, Engineering and Math). The challenge is considered a “game of skill” and is designed to help youth teams learn how to produce videos, create digital platforms, design playfields, program Lego Mindstorms robots, and inspire their generation through a variety interactive STEM outreach projects. At the end of the two phase competition, a grand prize winner is awarded to an once-in-a-lifetime science based experiential prize. Who can participate? The challenge is geared for a youth audience between the ages of 9 years to 17 years and is open to children all over the world. The mean age for this contest is 12 years old; however, much younger and older students do participate and perform equally well. Youth form teams of 3-5 members with one adult captain 18+ years old acting as the mentor of the team. Teams can be made up of friends at a local public/private/home school, or kids from an afterschool program like Scouts, 4-H, or a robotics clubs. The most important asset a MoonBots Team can bring to the competition is their willingness to want to learn about lunar exploration. Why did the Google Lunar X Prize create this competition? There are many reasons for creating this competition. We want to reach youth from all over the world and create a youth based community that wants to learn about the Google Lunar X Prize, lunar exploration and all of the cool things that you can do in space. This Challenge is innovative, exciting and free. Teams get to showcase their work to people in their local community and all over the globe. Students get to work with their friends on a project and use social media platforms to interact with one another. We want every student that participates in the MoonBots Challenge to have a great experience and get a taste of what it is like to be a part of the Google Lunar X Prize. Where can I learn more about the yearly competition? You may visit www.moonbots.org for more information. What is Moonbots-in-a-Box? MoonBots-in-a-Box is a spin-off educational project of the MoonBots Challenge. This project has been specially created for Science Centers to use with audiences all over the world. Participants will get an opportunity to show off their robotics skills by maneuvering a one-of-a-kind Google Lunar X Prize Lego Mindstorms robot on a specially designed moonscape playfield. To see if your science center is offering MoonBots-in-a-Box please visit www.googlelunarxprize.org/education/moonbots-in-a-box. This article appeared in the July 2014 issue of RocketSTEM.